Quality and Tradition since 1892. The history of our main activity, i.e. the manufacturing of dried hams, dates back to the end of the 19th century, more precisely to 1892. 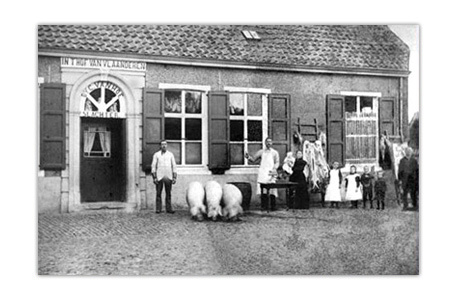 At that time, Kamiel Van Hoe, great-grandfather of the current managers established a butcher’s shop at the church square near Oudenaarde. A bar and partyhall under the church tower used to be combined with a butcher’s shop in those days. 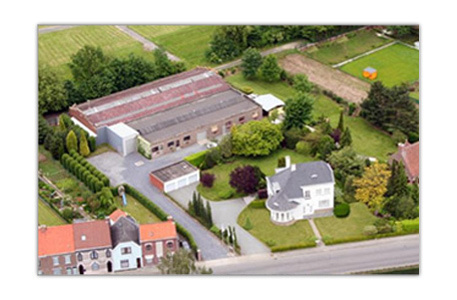 The house with its exuberant habits was named: “In ‘t hof van Vlaanderen – by C. Van Hoe”. The late Kamiel provided in his own slaughterhouse, which did not only specialize in fresh meat as early as in those days, yet also and more importantly in salted and dried meat products. This particular type of meat was favoured by many cross-border workers, who took it as their daily meal for their toiling in the North of France. 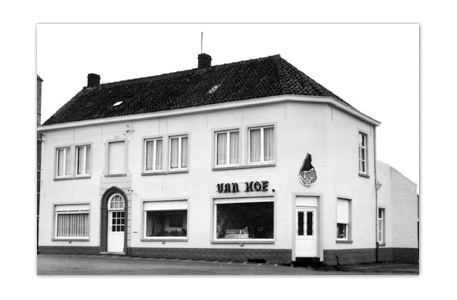 In 1932 Kamiel Van Hoe left his business to his son Adolf, who continued to run the butcher’s shop with attached bar-party hall as usual. Subsequently, in 1960, the third generation, Camiel Van Hoe, followed in his father’s and grandfather’s footsteps. Camiel Van Hoe was passionate about making all kinds of sliced cold meat, with which he won several first prizes at many contests, home and abroad. 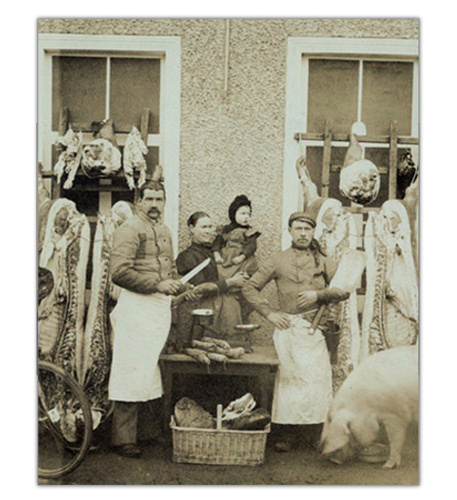 The specialized butcher’s shop expanded, resulting in a forced moving to a neighbouring factory building. From then onwards, only dried hams were produced, which found their way to other meat shops all over the country. 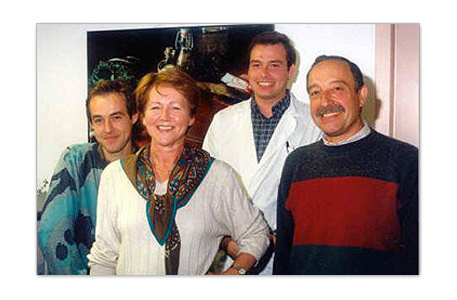 However, the fourth generation, Tom and Kris Van Hoe, was soon to come. Both sons now continue to run the business and make sure that the Tradition and Craftsmanship are observed.